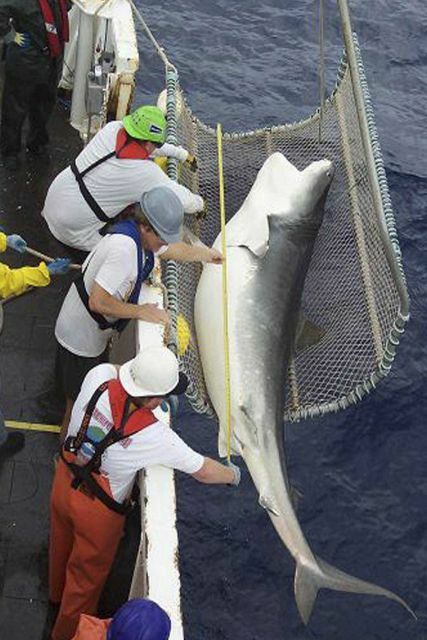 A magnificent female tiger shark (3 meters length) captured off the Atlantic coast of North Florida during 2006 pelagic longline survey aboard the NOAA Ship Oregon II. The healthy shark was measured, weighed, tagged, an released. Handling the shark are Skilled Fisherman Tim Martin, Chief Scientist Mark Grace, and Shark Specialist Trey Diggers.